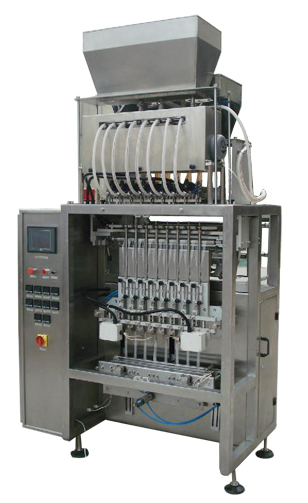 This machine is suitable for small sachet packaging of loose type, non-sticky and with certain liquidity granule in pharmaceutical, food, daily chemical industry etc. isatis root granule, small pill, aginomoto powder, white sugar, soup bases, oatmeal, seeds, coffee, capsule and tablet etc. 1. Low noise operation, stable performance long time service and less human intervention. 2. Feeding, sealing, coding, printing, cutting all those functions are highly automatically controlled. 3. Roller hot sealing and multi-lanes design improves output efficiency. 4-side sealed bag enhances value and beauty. 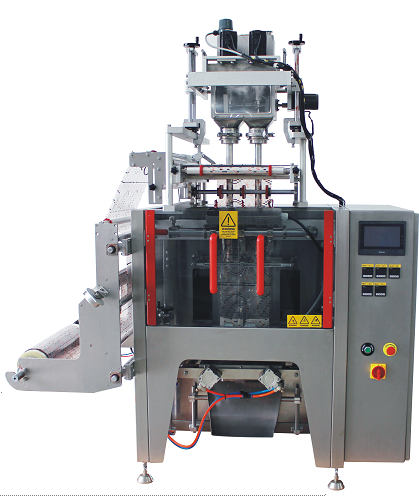 Application︰ This machine is suitable for small sachet packaging of loose type, non-sticky and with certain liquidity granule in pharmaceutical, food, daily chemical industry etc. isatis root granule, small pill, aginomoto powder, white sugar, soup bases, oatmeal, seeds, coffee, capsule and tablet etc.